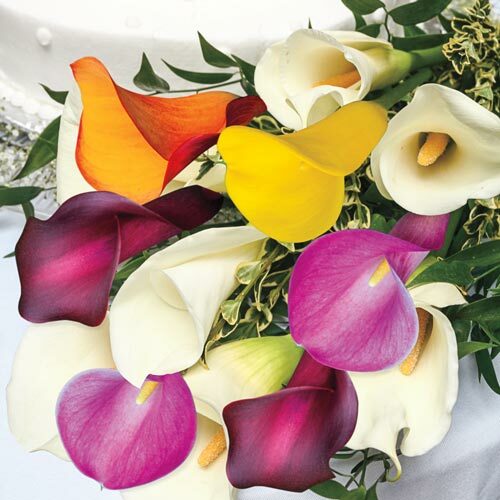 A favorite in wedding bouquets, fresh floral arrangements and the garden, our Mixed Calla Lilies feature a mix of creams, pinks, lavenders, yellows or reds. Their beautiful, cup-shaped, upright, chalice-shaped flowers are sure to delight visitors to the summer garden. 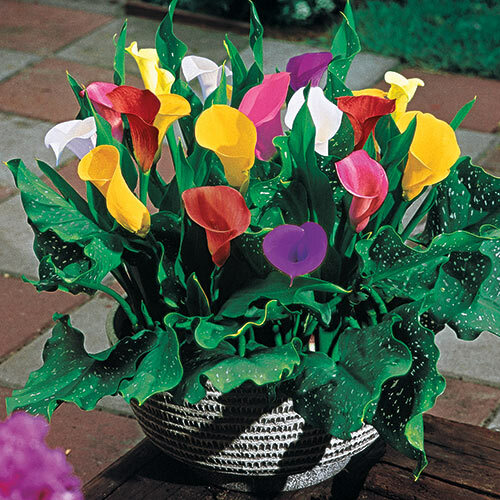 Native to South Africa, calla lilies grow 18-24" tall and can be used in flower beds, borders, patio pots and planters as well as indoor house plants. 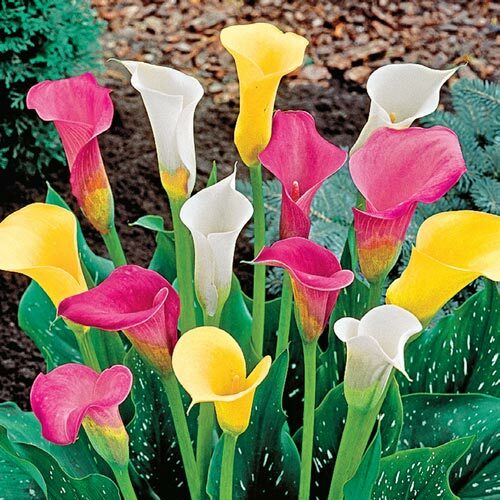 Their attractive, broad, swordlike foliage adds color and texture. Deer tend to avoid. 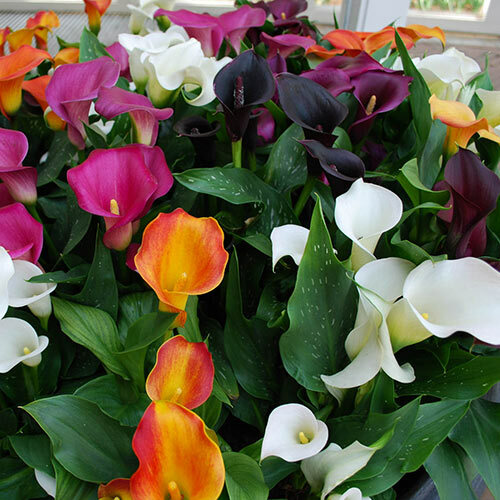 Sword-like, broad and rich green foliage with creamy white spots and markings. Lift in fall if you live in zones 3-8 for winter storage. 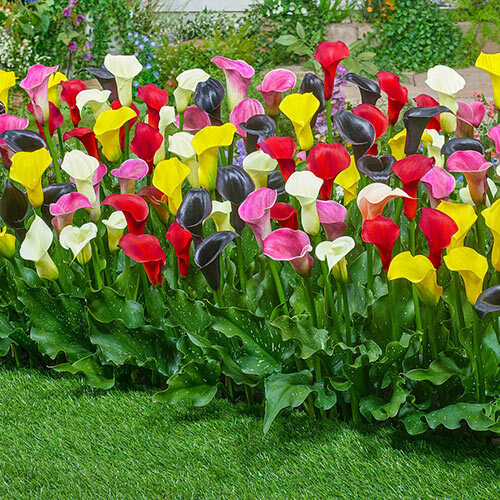 Replant the following spring after frosts are over.